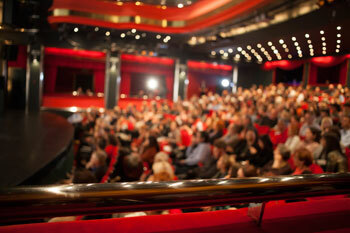 Going to see a performance at the ArtsEmerson Cutler Majestic Theatre? Convenient parking is available near the theatre at the following Parking.com locations. The Cutler Majestic Theatre was built in 1903 and was the second performance venue that was built in Boston's historic Theatre District. The theatre was originally designed as an opera house, but was later used for theatre, vaudeville, and movies. Now a venue of Emerson College's ArtsEmerson program, the theatre is used for showcasing first-class concerts and events by local stage companies and performance groups. Cutler Majestic Theatre is located in the heart of Boston's historic Theater District, just a block away from Boston Common. Also nearby are the Wang Theatre, Charles Playhouse, Emerson Colonial Theater and many fine hotels and restaurants. For more information on upcoming events and shows at ArtsEmerson Cutler Majestic Theatre click here.